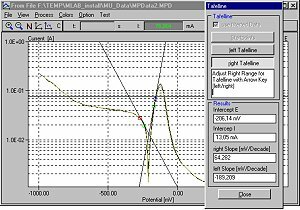 TestPoint-based software for control, measurement and evaluation of electrochemical measurements, requires MS WindowsTM supports or interfaces,. CPC manages potentiostat control, data recording and data evaluation. EChem is a very sophisticated software module from eDAQ, running with eDAQ's e-corder. 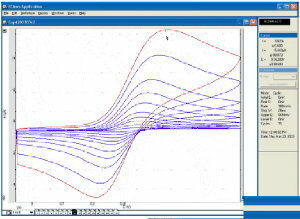 Especially for analytic chemistry, EChem offers a variety of methods. EChem runs on MS Windows - based computers as well as on Macintosh. 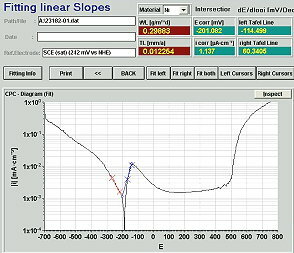 Besides EChem, the software modules Chart and Scope also offer valuable tools for the electrochemist. While the basic MLab software offers quick work for simple tasks, MLabSci allows to build complex task lists. Nevertheless, it is easy to handle as well.